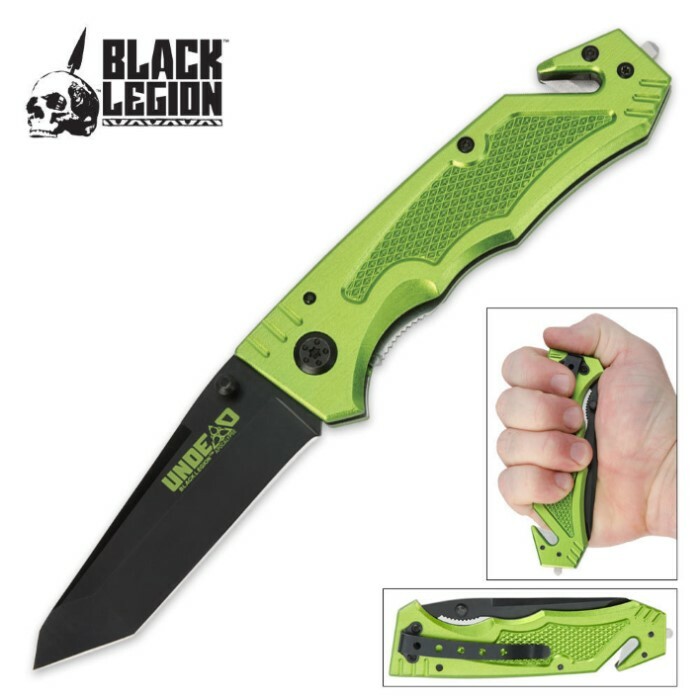 Black Legion Undead Rescue Folding Pocket Knife | BUDK.com - Knives & Swords At The Lowest Prices! The Black Legion Undead Rescue knife is a belt-cutting, glass-breaking machine! Be prepared for anything with this rescue folder! With a 3 1/2" black stainless steel blade, you can slice through anything the belt cutter can't get to. Really great piece to have in an emergency kit in my car. This pocket knife is sharp /strong blade and open with the flick of the wrist. This is very sharp and has a clean look. Would be better if came with a shealth. Excellent value knife - strong, sharp blade and I love the extras in the hilt. the weight and balance feel good and the action is very smooth. I bought on a bogo and highly recommend at less than 5 bucks! 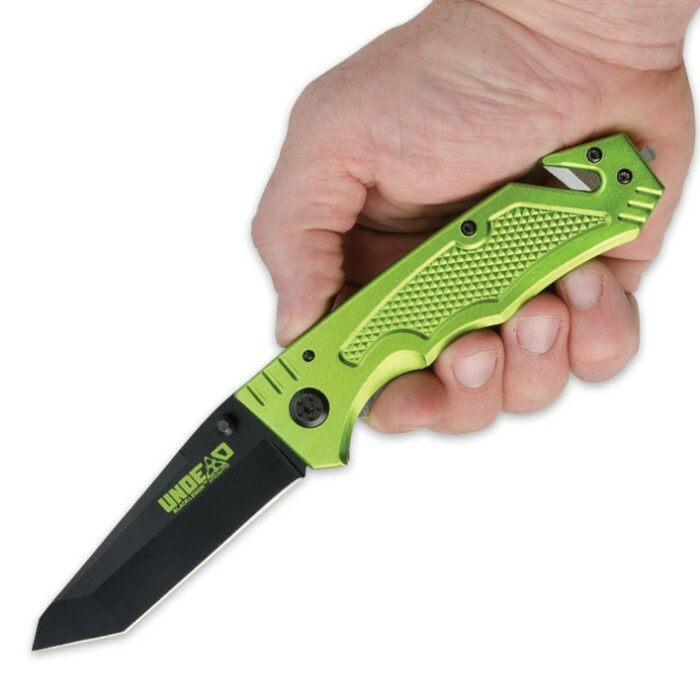 Very good folding knife at a fair price. The handle is a metallic green and the aesthetics of this blade are hard to beat.I would call this a solid value with plenty of fit, feel and heft to get the job done. This knife has a smooth action and is considerably larger than I thought when I ordered it. It looks like I can use a hex driver to remove the belt cutter and sharpen it as needed.What really surprised me is that this knife is lighter than most. It's got a steel liner on one side, but just the aluminium shell on the other. That makes it lighter than other knives of the same design. A bit weaker though.